Just before the weekend, Indcsn added something a little extra to their current Spring/Summer range with the addition of a Canadian made, heather grey crewneck sweatshirt. Featuring a 3 colour screen-print of the Prowl graphic (also available on tees as part of the SS12 range), the heavyweight cotton fleece comes with flatlock stitched seams and side-panels for the best durability and fit. Indcsn continue to look far and wide for the best manufacturers to produce their cut n sew products, but I think this time I would have liked to have seen something different where branding is concerned – perhaps an embroidered logo matching the quality of the fleece rather than a re-production of a T-shirt graphic. 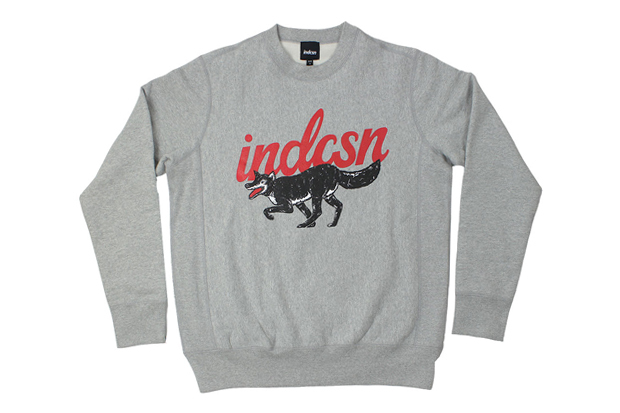 The Prowl Sweatshirt is available now from Indcsn along with select UK stockists including Flatspot and Urban Industry.